In Organisational Diagnosis, we value extremely high the study of Safety Culture. Therefore, we have well developed abilities, skills, and experience to scrutinise the Safety Cultures of high risk organisations. In this occasion, we propose the utilisation of the Safety Culture Indicator Scale Measurement System by Von Thaden & Gibbons (2008). The preparation of a questionnaire entails a number of interviews with Key post holders of the organisation requesting the survey so as Organisational Diagnosis has an understanding of its operations. We then construct a questionnaire, as an anonymous web- based survey that needs be answered by all. The Safety Culture Assessment-Mapping Report initially depicts in a Blake Mouton diagram the current positioning of the respective Safety Culture under survey in a chart that can portray all safety culture types within the quadrant/s they possess. The report also includes detailed quantitative and qualitative data. Safety Culture Assessment as it is called is already in use by Business Aviation Organisations that have already reached or passed beyond level 3 of safety, in line with IBAC’s IS-BAO requirements and our proposal will be the most suitable solution also academically appropriate and sound for safety culture depiction and assessment. 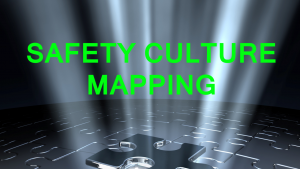 Safety Culture Assessment or preferably Safety Culture Mapping may additionally be used for other purposes. Please refer (here) for more information.